Remodeled Creekside 1 Bedroom East Vail Condo #1B. Hot Tub and Market. Property Video Managed by Gore Creek Properties, this beautifully remodeled 1 bedroom/1 bathroom platinum rated condo in East Vail has access to the complex hot tub and large summer pool. 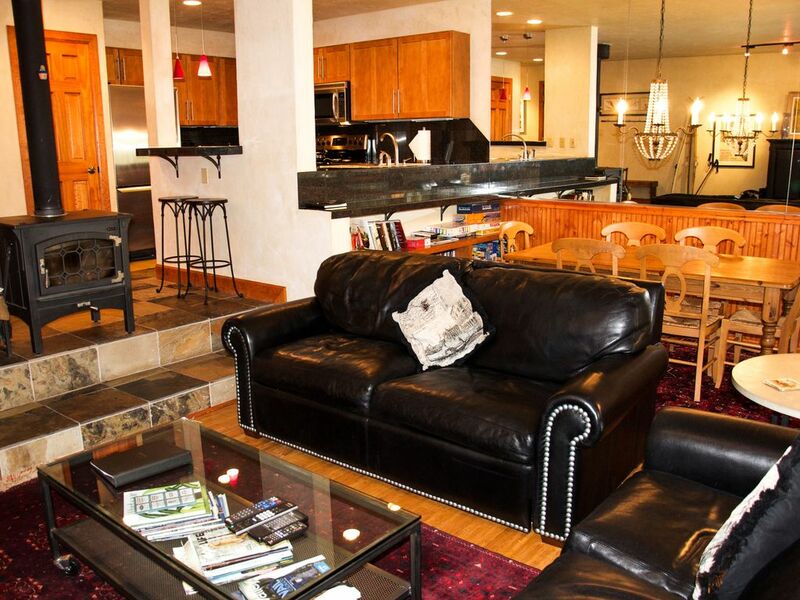 It is about 760 square feet and only 3.5 miles from Vail village. The condo has a full granite kitchen, leather couches and a quaint woodburning stove in the living room. Wood will be provided by us for your use in the winter. The bedroom has a queen bed and in the living room there is a very comfortable sleeper sofa without a metal frame. . This property has internet wi-fi, free national/canadian phone service and a grocery/liquor store on site. The complex is on the free Town of Vail bus route. This is a very enjoyable place to call your "home away from home". This property does not allow any pets and is NON SMOKING. Stayed at property March 2019 and felt just like I was home other than the snow. Everything the owner offered was PERFECT for this condo. I had an exellent expierence in GCP. I loved everything.